Before you jump into that big blue ocean of the World Wide Web there are a few signs you should take notice of to steer away from sharks and other creatures that co-inhabit the Internet. This is not a scare tactic, you simply have to accept the practical truth these “sharks” do lurk out there and that anybody can be a victim. These lurkers are actually very intelligent people. They can gather insurmountable amounts of personal data, which are strewn all over the web and then compile and refocus it to be a marketing campaign tool = junk mail or much worse. Face it, there is more than a 90% chance that if you are a surfing online denizen, that you have already posted your name, address, perhaps even phone number on a social networking site. With the help of a good designer, programmer and copywriter, these sharks can lure a good number of people just like you; and with great aplomb “bait” you to give up even more personal matters that can lead to social or financial disaster. A good example would be flower delivery services. This covers almost the entire world and remains as one of the most popular Internet services available today, next to emailing and social networks. It seems like a low risk deal but whom can you really trust with your personal ID’s, messages and credit/bank ID? Online transactions nary need a physical signature anymore, so what businesses need to operate on are safeguards on top of other safeguards. Websites can be hosted from anywhere in the world but there are four main signs/marks/seals or logos to look for which have propelled the commercial side of the web forward by placing its anointment of trust to only the worthy websites. 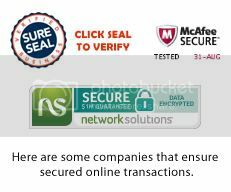 Secondly, look out for a Business Verification seal. This is a country dependent verification service that has proven that the web entity is a genuine, registered business entity with full accountability. This means that if your roses don’t arrive or arrive in poor state then there are real people you can run after and complain to. Lastly, look for a Vulnerability Scan Mark. McAfee is lonely at the top of this field. Being elders in the anti-virus field, it has risen above the rest and now tests and guarantees websites for being hacker safe. As I mentioned before these sharks and lurkers are very intelligent people and will only stop when they get frustrated. Now with the tens of millions of websites out there only a handful can successfully get this Vulnerability Scan Mark, because these elders will not stop until you fix all the issues your website has. It doesn’t stop there, since hackers also continue to improve their skills over time, the McAfee service counters this by redoing the scan 365 days a year. Yup, all year round and throughout all occasions. We are creatures of habit. So before you commit to an online service provider, which more than likely you will be using again and again (because it’s just so easy), look for these four things. Barring any Acts of God, these four “promises” will virtually guarantee that each time you do engage in online commerce everything will come up smelling like roses. Online purchasing gives you hassle-free transactions. However, better make sure you are dealing with a non-fly-by-night e-commerce sites. 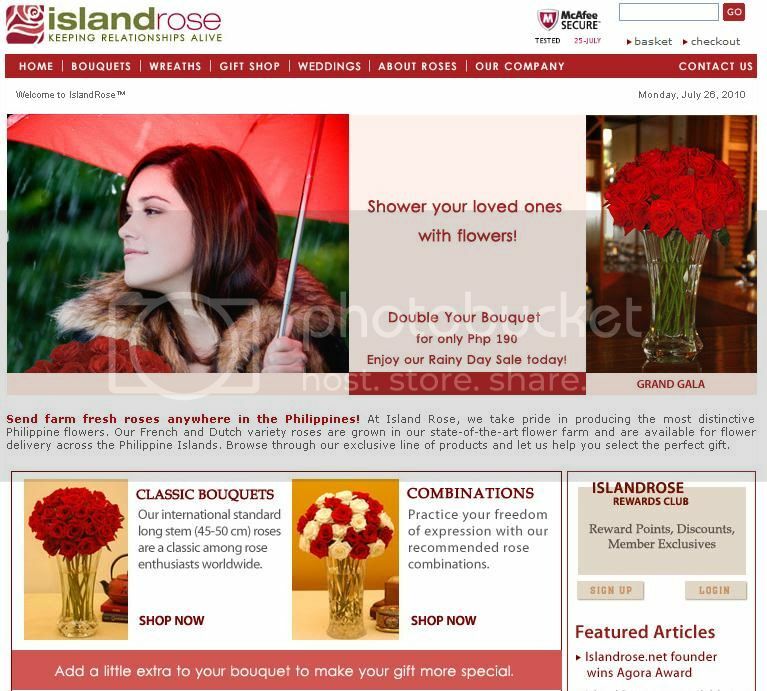 Island Rose is one of the pioneers in online flower delivery service in the Philippines. This entry was posted in Business Matters, Philippine Flower Guide.